Last week, there were two fires reported at Kenarden Lodge. The first fire occurred on Tuesday, Sept. 18 at 6:45 p.m. and the second fire occurred Wednesday, Sept. 19 at 1:15 a.m. 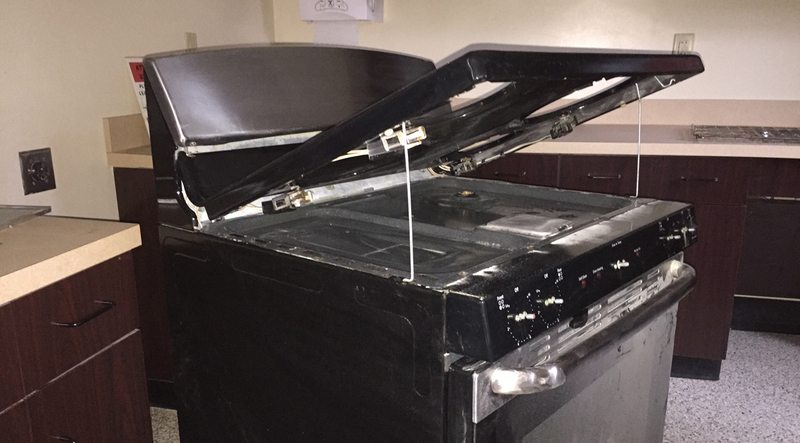 In an email sent to all students on Sept. 19, Steve Glick, director of Security and Protective Services (SPS), explained that the two fires originated in the kitchen of Kenarden and in both cases were extinguished by students and security officers before the fire department arrived at the scene. SPS, the Wooster Fire Department and the Wooster Police Department responded to both fires. An early investigation determined that both fires were deliberately set. Letteney said that she slept through the second fire because the alarm did not go off, even though it had the first time. Joe Kirk, associate director of SPS, explained that it is true that the second fire did not trigger the alarm because it appeared that there was not enough smoke created by the second fire. “After the first fire, the fire department and [SPS] checked the fire alarm system and found it fully functional and the system was able to be reset,” Kirk said. “When the second fire happened, the system was checked again and everything was functioning properly.” He added that if the fire alarms were not functional, a fire watch (consisting of SPS officers stationed at the building) would have been immediately instituted. Letteney was also concerned because the smoke had reached her hallway, but she was not aware since she was not awoken by the alarm. She even felt it was necessary to create a contingency plan in case a fire were to occur in the future. “To be able to sleep in our room, my roommate and I came up with a plan for how we’ll bust open the screen on the window and escape if the fire reaches the hallway,” Letteney explained. Regarding Glick’s email, Letteney did not believe it contained sufficient information, especially regarding the definition of “deliberately set.” She thinks using the word arson would have been more clear and efficient in explaining the nature of the incident. “I suspect that [Glick] chose to say ‘deliberately set’ because the wording is less clear and sounds less scary than arson,” she said. Kirk explained that the investigation is ongoing, and a timeline cannot be given because arson investigations are very slow. He reminds students to report any suspicious activity or persons around residence halls to SPS and be on alert for things that seem out of place. Another alarm went off in Kenarden at midnight on Saturday, Sept. 22, but an email from Residence Life to Kenarden residents explained that it was due to an individual discharging a fire extinguisher and was unrelated to the previous incidents.